The American writer Philip Roth died in a hospital in Manhattan. The chronicler of society and Jewish life in the US was 85 years old, reports The English News. Roth made his debut in 1959 with the collection of stories Farewell, Columbus. He has written more than thirty books, including the sexually revolutionary novel Portnoy’s complaint and American pastoralism, for which he won a Pulitzer prize in 1998. He was for years as a contender for the Nobel Prize for Literature, but he did not receive it. He did win several other prestigious awards, such as the National Book Award (twice), the Pen / Faulkner Award (three times) and the Man Booker International Prize. American Pastoral, I was married to a Communist, and The human blemish is together called the American Trilogy. The triptych deals with significant themes of post-war America. The first book is about the protest generation at the time of the Vietnam War, the second about the era of Communist hunter McCarthy, and the third is against the background of the Lewinsky scandal. All issues that were, to a certain extent, traumatic for the US, which shed and hurt. Those were the subjects that lay him. Roth used to write standing. Most of what he put on paper he threw away. On the pages that he continued, he built long sentences in which he fathomed, dissected, and often ridiculed American culture and modern history. In 2004 the oppressive The conspiracy against America appeared. In it, Roth describes what could have happened if Roosevelt had not won the isolationist Charles Lindbergh in the 1930s. Under ‘President Lindbergh’ all kinds of anti-Semitic laws are being implemented in the US. Although his Jewish background plays an essential role in his work, he saw himself primarily as an American author. “The label ‘American Jewish writer’ does not mean anything to me,” he said once. “If I am not an American, I am nothing.” A number of his books are situated in the Jewish community of the city where he grew up, the Newark against New York. Roth created several literary alter egos, of which Nathan Zuckerman is the most important. He is the narrator in nine of Roth’s books. 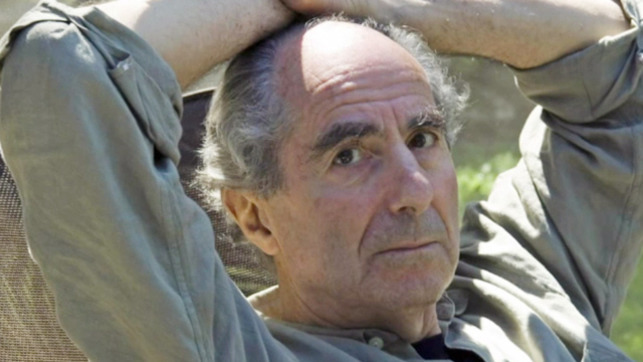 In 2012 Philip Roth announced that he was going to stop writing. He did not mention it anymore: “The struggle with writing is over,” he noted on a Post-it sheet on his PC. His latest novel, Nemesis, was published in 2010. The book is about the polio epidemic that struck Newark in 1944 and the disastrous consequences this had for the mutual relationships in the city.